In the last 16 elections held to elect members to the Lok Sabha, only 13 women have entered the Lower House from Karnataka. BENGALURU: In the last 16 elections held to elect members to the Lok Sabha, only 13 women have entered the Lower House from Karnataka. And, most of them served only one term in office before being replaced by other candidates. In a sector that is largely dominated by male politicians, women say that not many are allowed to enter the field. Of the 16 Lok Sabha elections held so far (1952-2019), five were held when Karnataka was part of the Mysore province and the state had not yet been carved out. Sarojini Mahishi, who contested and won from Mysore state, was the first woman MP for what would later become Karnataka. She also holds the enviable position of having served four terms in the Parliament and also contested from Dharwad North in her career. While the state did witness two high profile electoral battle involving women — Indira Gandhi in 1978 and Sonia Gandhi- Sushma Swaraj in 1999 — not many women get the chance to contest elections from Karnataka compared to their counterparts in other states, especially north India. 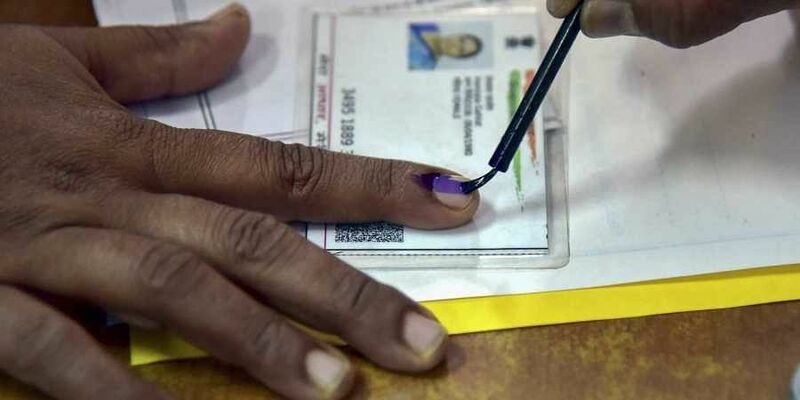 Other notable winners include Tejaswini Gowda, who took on JD(S) supremo H D Deve Gowda in 2004 and won by a margin of over 1 lakh votes from the Kanakpura constituency, which evolved into Bengaluru Rural. “If the woman is from a political family, she is likely to get more chances to contest. In any party, they consider the winnability factor of candidates before fielding them. Even today, politics is largely dominated by men and there is the question of the male ego too,” Tejaswini, now an MLC, told TNIE. In 2019, candidates who are likely to give tough competition to their opponents are Tejaswini Ananthkumar from Bangalore South and Sumalatha Ambareesh from Mandya. TNIE also spoke to Jayanagar MLA Soumya Reddy, daughter of Congress leader Ramalinga Reddy and one among the few women MLAs in the present Karnataka Assembly. After the Emergency, Raj Narain defeated Indira Gandhi from the Rae Bareli seat by a margin of 55,200 votes in 1977. In 1978, she contested the Chikkamagaluru LS bypoll against Veerendra Patil and won. This election is considered her political rebirth. 1999 Sonia Gandhi fought against Sushma Swaraj from Bellary. Apart from Bellary, Sonia had also contested from Amethi, Uttar Pradesh. She won both the seats but chose to retain Amethi.